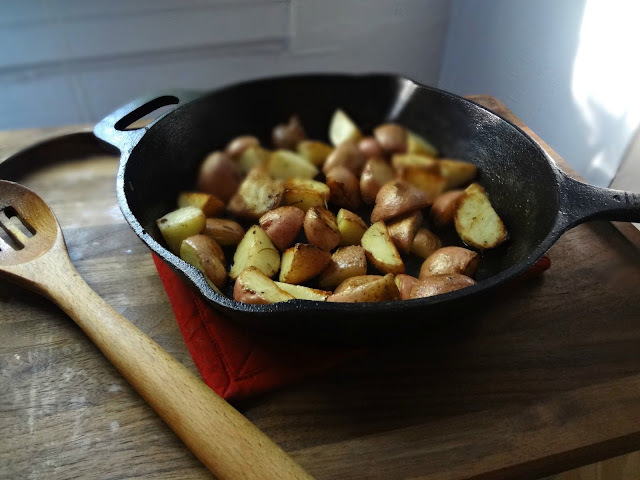 I love cast iron skillets . They're so awesome and versatile and also like super rustic. OMG how much fun was Oregon Trail?? I remember I always made myself a doctor (because then you were both rich and useful) and made my "family" coming out with my my preschool boyfriend and our imaginary children...so you can imagine the childhood trauma that resulted when, of course, someone would succumb to dysentery. Every darn time. We're here to talk about my love for potatoes. 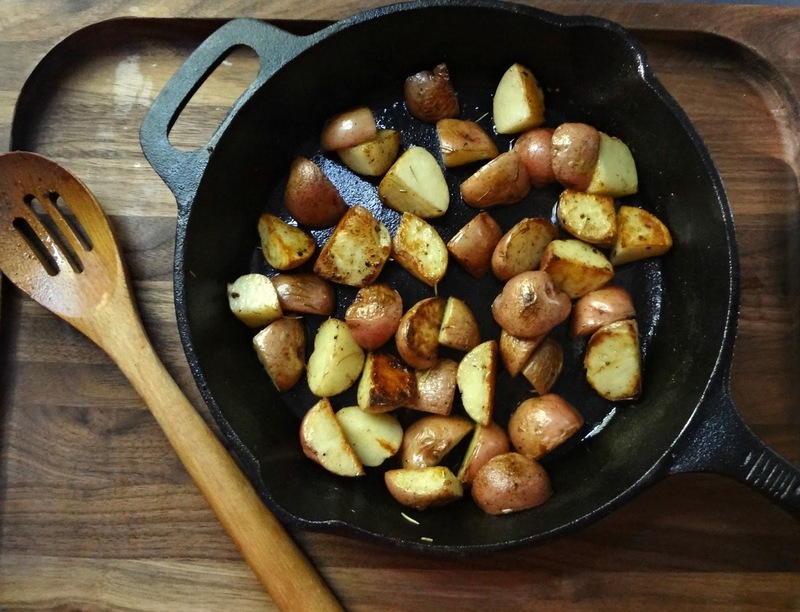 Beautiful, browned, perfectly seasoned and roasted in a skillet potatoes. Which I'm pretty sure are delicious whether it's the 19th century or the 21st. In a medium bowl combine 2 tbsp. oil with salt, rosemary, garlic, and pepper. Add potatoes and toss until evenly coated. Heat 1/2 tbsp. oil in a large cast iron skillet over medium high heat. 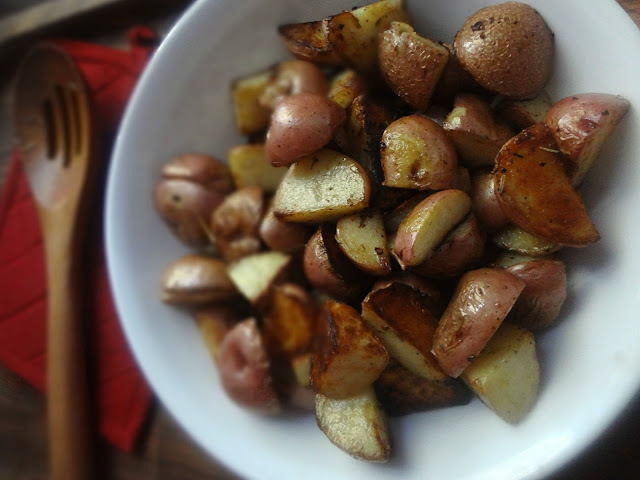 Once it's hot but not smoking, add the potatoes. Cook 12-15 minutes-or until browned and fork tender. Stir frequently. 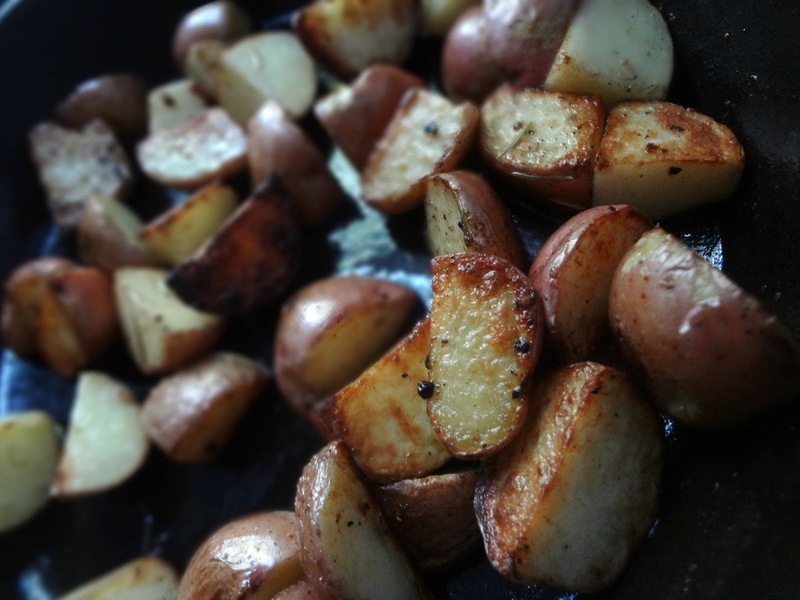 I think potatoes are perty, don't you? Disclaimer-This post contains Affiliate links.